Jason Theodosakis, MD, MS, MPH, FACPM — “Dr. Theo” — is a medical doctor, researcher and medical school professor who is both residency and fellowship trained in the specialties of Preventive Medicine and Sports Medicine. He also has Master’s degrees in Exercise Physiology and in Public Health and undergraduate degrees in both Chemistry and Biology. Dr. Theo is a fellow of the American College of Preventive Medicine and a member of several medical organizations including: the Osteoarthritis Research Society International, American College of Rheumatology, and the American College of Sports Medicine. Dr. Theo is considered to be “America’s Joint Health Expert” and was named as one of the 14 greatest doctors in the world by Rodale Press. Dr. Theo’s clientele includes the young and old; royalty, celebrities, and professional and collegiate athletes from around the world. He is deeply embedded into charity by donating his time to a variety of organizations. In addition, he has donated over $300,000 in money and products to various charities and organizations who cater to those without health coverage or the money to afford proper treatment. Dr. Theo is best known as the #1 New York Times Best-selling author of one of the most important, influential and popular joint health books ever written. 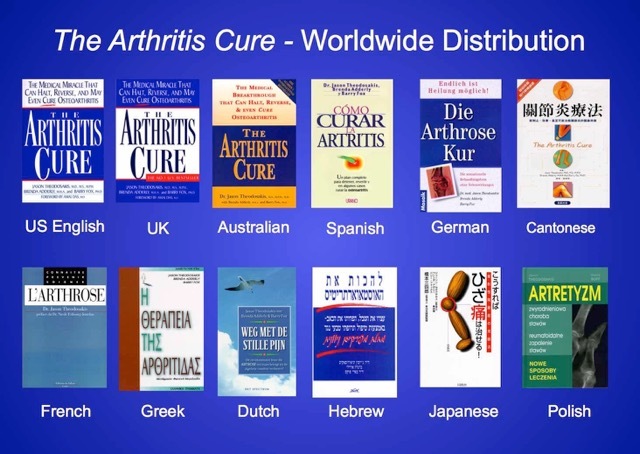 The Arthritis Cure – Revised Edition was published in January 2004. Dr. Theo has been credited with ushering in the integrative approach to a number of conditions, and has been the driving force behind the public’s introduction to several joint health treatments, studied and sold as drugs in other countries, including: glucosamine, chondroitin, SAMe, Hyaluronic acid, and ASU (avocado-soybean unsaponifiable). He is frequently invited to speak as the keynote speaker in the U.S. and internationally. He has served as an expert witness in the area of dietary supplements and is involved as an industry consultant for product formulation, education, marketing and quality control.